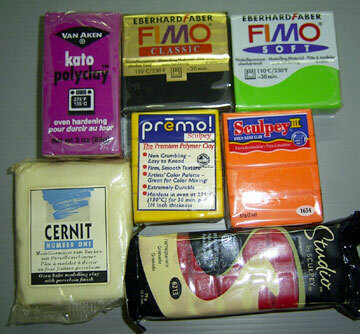 You may know of polymer clay as ‘bake in the oven’ modelling clay, including brands such as “Sculpey” or “Fimo”. Polymer clay is a man-made material that remains pliable for long periods, but bakes or “cures” in your home oven at a fairly low temperature; though hard, thin sheets are often flexible. It can be sculpted, carved, moulded, sanded and painted. It is one of a few materials which can be made into ‘canes’ with an internal pattern that reduces in size as the cane is stretched – think of millefiori glass, or candies with patterns through the middle. Over the past 25 years, artists have developed new ways to use the material, and have created inspiring work – which takes the medium far beyond its model-making origins. See these links for the work of some of myfavorite polymer clay artists’ work. Kathleen Dustin, Sarah Shriver, Jeffrey Lloyd Dever. 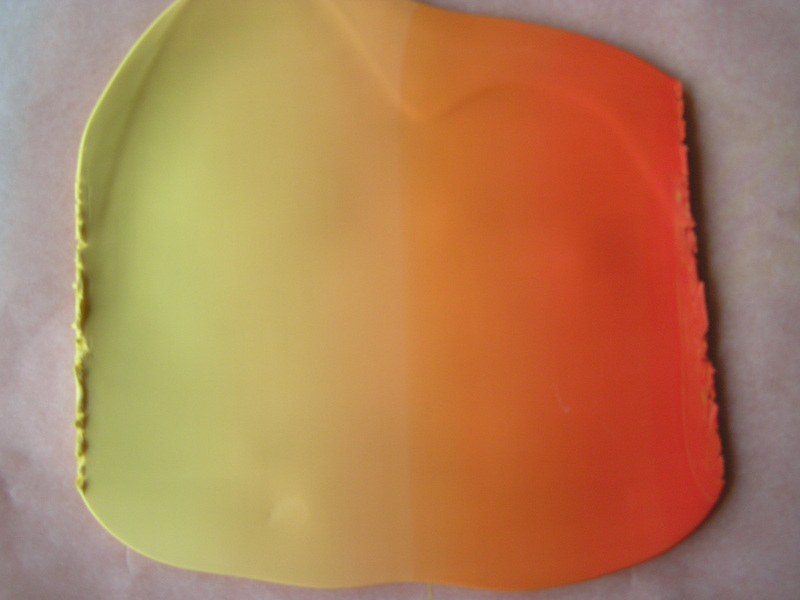 While polymer clay can be painted, the colors you see are usually a result of the pigment in the clay – not paint. 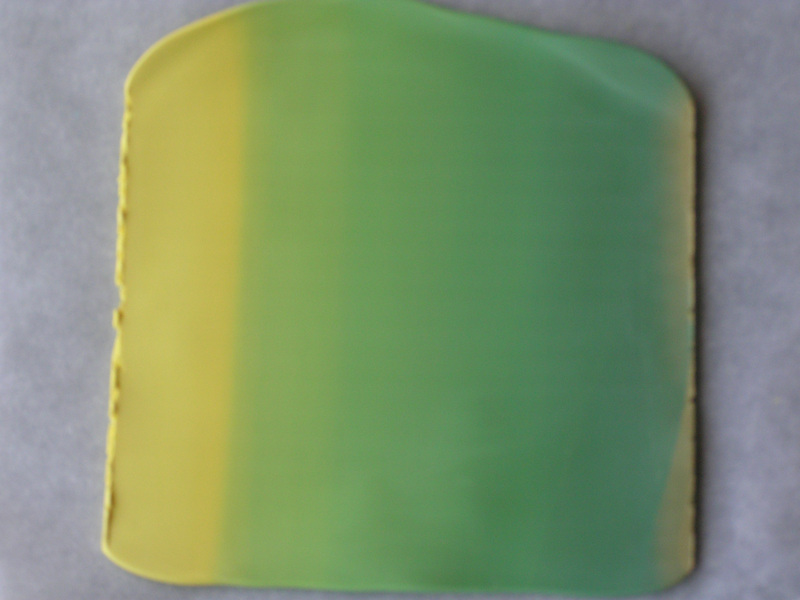 Polymer clay is sold in a range of colors, and an infinite range of colors can be achieved by mixing the packet colors together. There are minor differences between brands but they can often be used together. Techniques include the creation of color blends and graduations. Polymer clay is classified as “non-toxic”, but children using it should be supervised, and some recommend use only by those over 8 years. Tools used for polymer clay (such as knives or pasta machines) should never be used for food. It is important to follow baking instructions, as the clay can burn if the oven is too hot, creating fumes which you should take care not to breathe. While polymer clay can be baked in a home oven, most people prefer to use a separate oven if baking polymer clay regularly. Polymer clay can “eat through” some plastics. Store polymer clay in food wrap, or in containers of softer plastic – avoid hard plastics as some hard plastics will react with the clay. It is not necessary to have air-tight containers – it is heat, rather than air, that will harden the clay and make it unworkable. Sarajane Helm has some useful information on her site. You can also refer to the safety data sheets of the various brands. See one here.